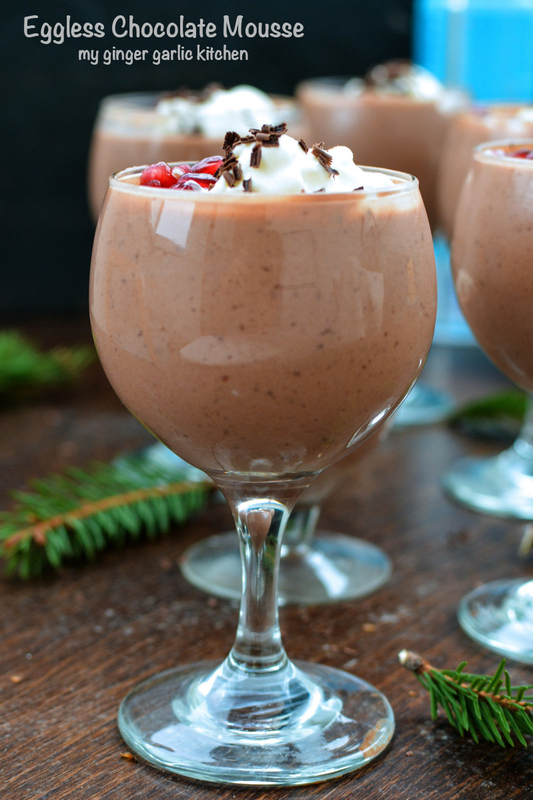 Eggless chocolate mousse is made with cream, heavy whip cream, some sugar, and vanilla extract. And the result was SO creamy-classic chocolatey-dessert. I gotta ask, is anyone looking for Valentine’s Day dessert recipes out there?? Certainly, I am in one of those! And just to tell you that chocolate is all over my head, so today is about the chocolate mousse!! Welp, the reason why I wanted to create a chocolate dish is because I am so in the mood of the upcoming V’day. I know we still have time for V day, but hey, remember time flies, so better be PREPARED now! 🙂 You ask, what did I feel when I tasted my own creation—this Eggless Chocolate Mousse has left me at a complete loss for words. I know many of you must be having pre party nerves!!! This is not my case because this is my 17th valentine with my ‘boyfriend who eventually became my husband’. But one thing for sure, that we have seen each other growing. Yay yay! Our romance started with teenage love! You can call me Lovarchist! 🙂 Love is the HAPPIEST thing and meant to stay forever and ever and ever. As it is our 17th Valentine’s Day it should be 17 times BIGGER and BETTER🙂 And I want to spend 17 times more quality time with Abhishek. And here I am with my plan of making some simple yet stunning recipes. 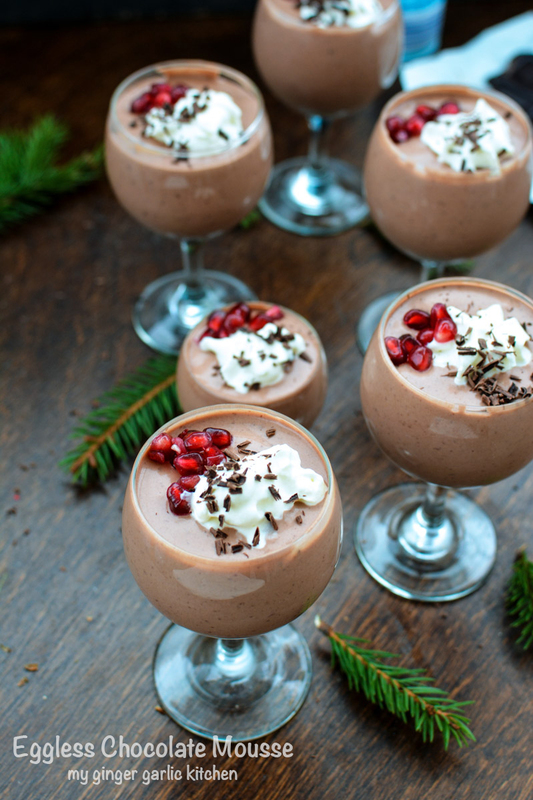 And one of my favorite parts about this eggless chocolate mousse is that it’s so simple, quick and easy. I think if you like it, then you would not stop eating until all serving-glasses are down. I am telling all this because I have experienced the same thing yesterday. Abhishek and I are wholeheartedly into chocolates and mousse in general. We love chocolates like anything, and when it comes to dessert or pudding we simply can not resist. It’s just as cozy and delicious as it sounds. 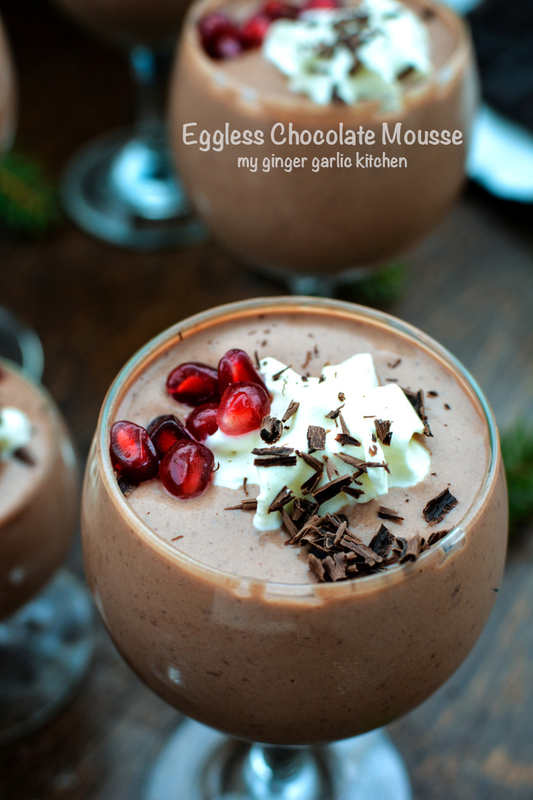 For some reason, eggless chocolate mousse sounded like an AMAZING dessert to me for V’day’s menu. You know this mousse is super creamy, smooth, and silky, right? Yeah, I love it, but, I also love those pomegranate jewels on top—I am so obsessed with pomegranates. Love it’s texture. Love it’s juiciness. Love it’s gorgeous color! I think chocolate make us all feel like kids again. Chocolate gives everything an increased flavor. Anyway, this mousse is so easy to make. It will take you 10 mins at most, and like I said you have to chill it in refrigerator for about 2 hours. Chilled is perfect, but I wouldn’t even mind eating it at room temperature! 😉 That’s why I call it THE BEST. I knew that this time it would be perfect for a mid-week dessert and would also be great for Valentine’s Day. 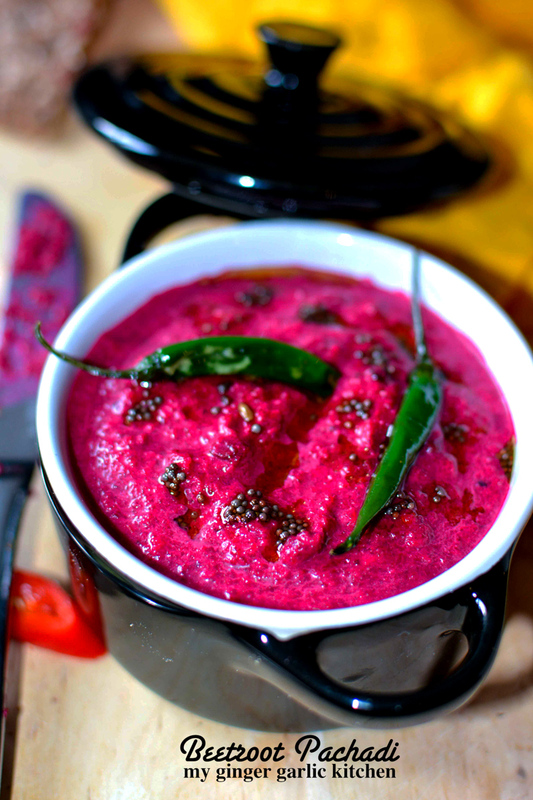 Apparently, today while writing this, all I can think about is that chilled mousse, which was long finished. Though, I am happy that I got all my fair share of it. 🙁 But I still want some more more more! I always knew it would be so good – and really, it was DAMN good. Absolute Bliss!! It’s pretty simple, it’s with chocolate, cream, heavy whip cream, some sugar, and vanilla extract. And the result was SO creamy-classic chocolatey-dessert. I am up for this fuss free angelic delight anytime. Are you? 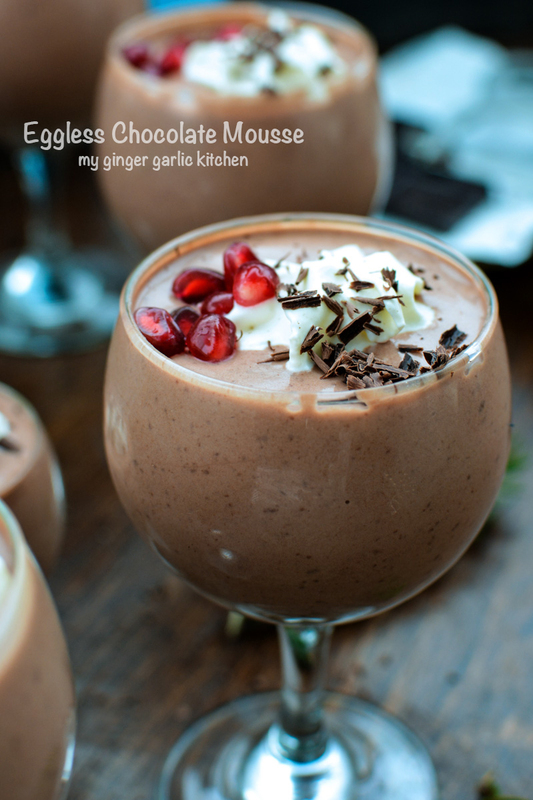 Eggless Chocolate Mousse a light, creamy, rich and thick chocolaty dessert. Grate chocolate in a large bowl, and add to a microwave safe bowl. Heat for about 11/2 mins. 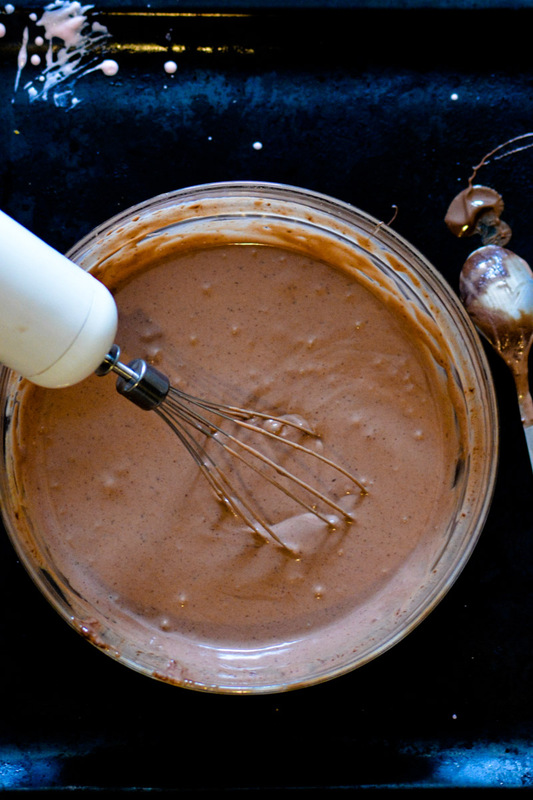 Take it out, and whisk until chocolate has melted. 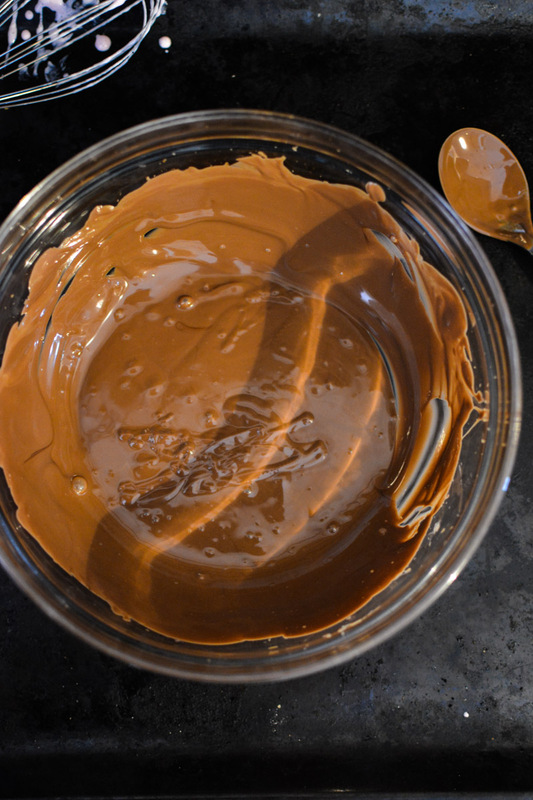 If the chocolate hasn’t fully melted, microwave the mixture for 15-20 seconds more. In a mixer bowl, add cream, sugar, and vanilla extract. Whisk well, and add whipping cream to it, and mix again. Gently fold cream mixture into the chocolate mixture until combined and smooth. 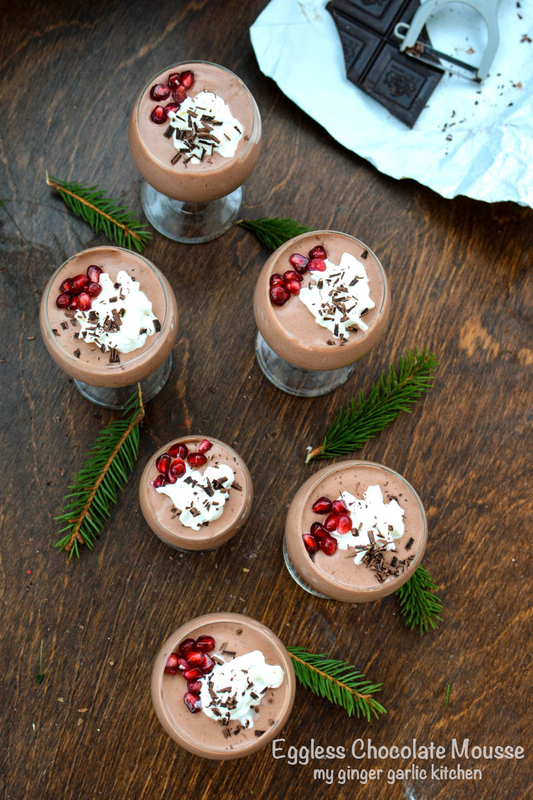 Divide into serving cups, and chill the mousse to set for at least 2 hours. Top with whipped cream, chocolate, or any of your favorite toppers! Enjoy! Note: You can store mousse in the fridge, covered with plastic wrap, for up to 3 days.